The Nantucket-style contemporary house at 8 Grey Lane in Westport has a first-floor master suite. There's been a dramatic shift in lifestyle preferences driven by both the economy and the fact that Baby Boomers are aging. The trend is reflected in a significant movement toward the purchase of smaller houses and one-level housing, according to real estate professionals in Fairfield and Westport, who see a growing demand for ranches and houses with first-floor master bedroom suites or guest accommodations. Julie Vanderblue of the Vanderblue Team and president of the Higgins Group whose office is in Fairfield, said she also sees high demand for properties with in-law apartments. "We see a lot of children and parents consolidating families by combining the profits of selling two homes and purchasing one larger home with in-law options, thus advancing to a lifestyle they could not otherwise afford," Vanderblue said. 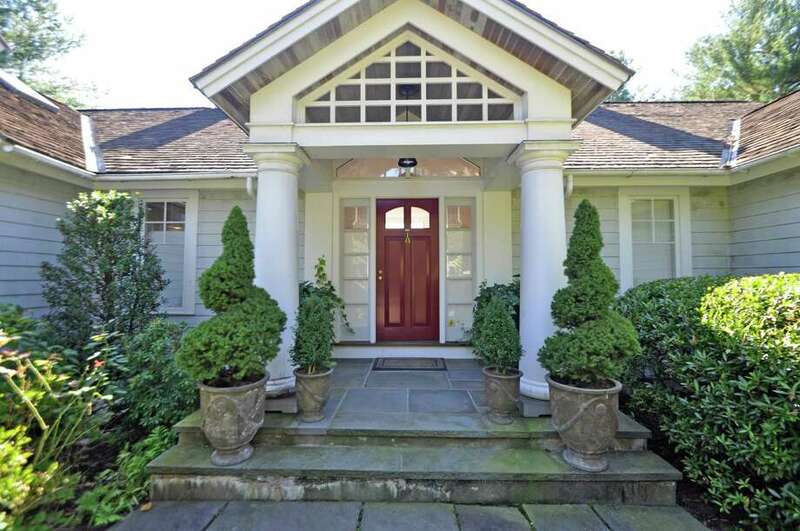 She currently has two listings that fit the trends: a 2,849-square-foot house at 1137 Stillson Road in Fairfield that provides one level of living and a 3,097-square-foot Nantucket-style contemporary house with a first-floor master at 8 Grey Lane in Westport, just steps from Sasco Creek and Southport Beach over the border in Fairfield. "Parents are living longer. You're faced with assisted living, but they would like to be in homes as long as they can," said Jeanette Dryburgh, of Jeanette Dryburgh & Associates, an affiliate of William Raveis Real Estate, whose mother-in-law lived with herself and her husband for 11 years. "It's a real big selling feature to have a first floor bedroom," said Dryburgh, whose office is in Westport. She is impressed by the number of young home-buyers who are thinking long-term. "I see a huge concern with younger buyers about the aging generation. They're concerned about mom and dad, and about having an in-law suite on the first floor for them either when they come to visit or they're planning on their parents living with them. "They're thinking ahead and buying a house with that in mind," said Dryburgh, who has among her current listings a 1,272-square-foot Cape at 8 Davenport Ave. in Westport with a first-floor bedroom. One of realtor Helen Cusa's listings with Halstead Property in Westport is a first-floor condominium which provides one-level living at 124 Riverside Ave. in the Saugatuck section of town. "My condo does offer a home-like atmosphere because this was originally built as a house in the 1800s. The Assumption convent was converted in the 1980s into four condos, two on the first floor, two on the second floor." "It's really a lifestyle choice, staying in Westport, comfortable space, maintenance free because it's a condo. It's a home without being a house," Cusa said. Vanderblue said the convenient distance to services, cultural activities and community life also plays a role in house choices. Other factors are also contributing to the selection of smaller houses and one-level living including simplifying lifestyles and environmental consciousness. "Our team has created a luxury-living-for-less division to help our buyers who are looking to lower their costs of living while maintaining a luxurious lifestyle. There's a true belief that less is more," Vanderblue said. There are so many more Colonial houses than ranches on the market so the low inventory of houses that provide one-level living is creating a high demand for ranches, she said. Mary Beth Grasso, out-going president of the Greater Fairfield Board of Realtors and an agent with Keller Williams Realty, said she recently sold a newly constructed ranch in Stratford. "If I had five of them they'd be sold," she said, adding that she has also noticed the desirability for multi-generational living arrangements again, which existed in the past. There was a time when family members stayed together as a unit, if not in the same house then at least on the same property. Then there was the independence of the mid- to late-20th century. More recently, college-age children began staying home longer and adult children moved back home with mom and dad after job loss or divorce. While some felt embarrassed about the new living arrangements, Grasso said others recognized and embraced the benefits. "Only out of challenge came something good that other generations knew. Out of hardship the necessity of coming together was forced upon us but through the experience people realize it's okay," she said. Children are getting to know their grandparents in these shared living arrangements, and the stress level of busy lifestyles diminishes as grandparents take some of the burden off working parents. "It does take a village. I think it's a trend that's here to stay," Grasso said.